We are excited that soon Annie's Place our self catering accommodation in Orkney will be having a make - over but not to bring it up to date, but rather to affirm its heritage. Annie's Place, as part of The Old Manse of St Magnus Kirk, Birsay, was built in 1761 and its first minister to take up residence here was the natural historian, George Lowe. We plan to return The Old Manse exterior as near as we can to its mid 18th Century appearance! 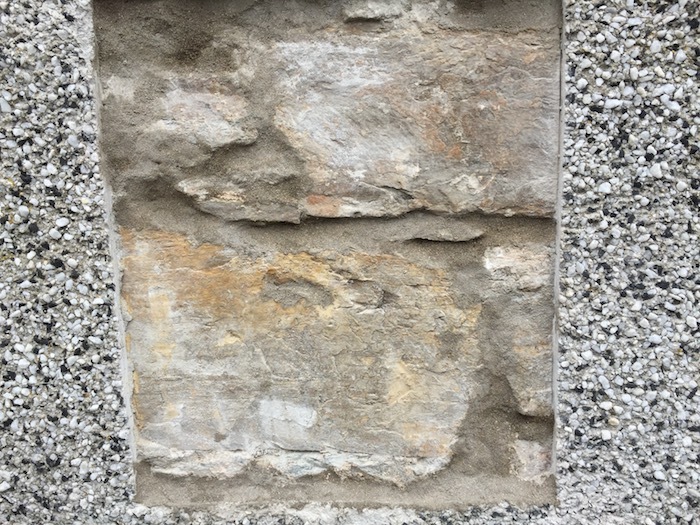 The photo below shows the preliminary investigation of the underlying stonework beneath the mid 20th Century harling.